Obituary for Carolyn Eve (Knudsen) Dunbar | G.F. Oliver Funeral Chapel, Ltd.
Carolyn Eve Dunbar passed away peacefully on January 22, 2019 at 66 years of age. Carolyn was diagnosed with lung cancer in early 2018 and spent the year seeking treatment and reprieve from worsening discomfort. Until the last she possessed nothing but grace, bravery, humor, and kindness. She was quick with a smile and surrounded by those she loved until her final breath. 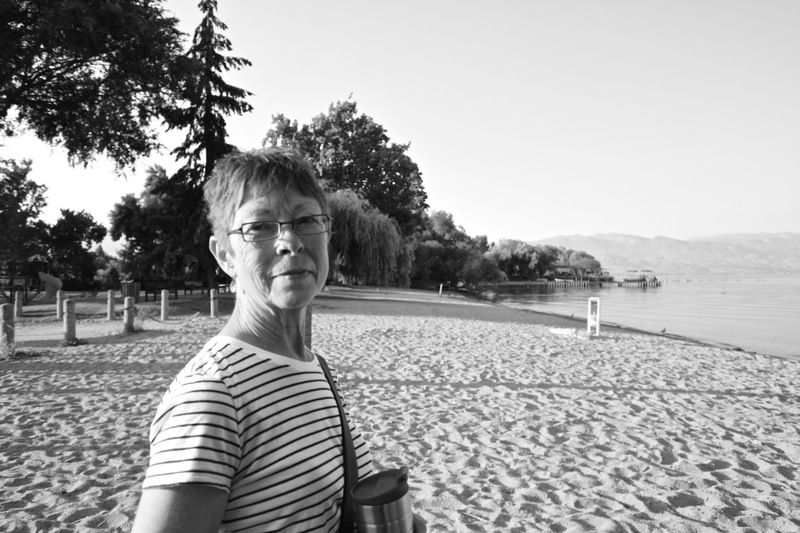 Carolyn and her husband Wayne moved to Creston with their daughter in 1999, leaving behind the city lights and hustle of Calgary. Nestled between the Selkirks and Purcells they embraced a quieter way of living – weathering storms and sunny days alike. Carolyn’s bliss stemmed from cracking open a new book, drinking her morning coffee (a beverage of sludge-like consistency), and feeling the sun hit her face in the spring. She is survived by her husband Wayne; daughter Kirsten; her sisters Patricia, Eileen, and Ellen; and her brothers Chris, Stephen, and George. Awaiting her in heaven are her parents Muriel and Knut Knudsen; her brothers Karl and Harald; and her best boy – her beloved golden retriever, Baron. Carolyn will be loved infinitely and missed immeasurably.